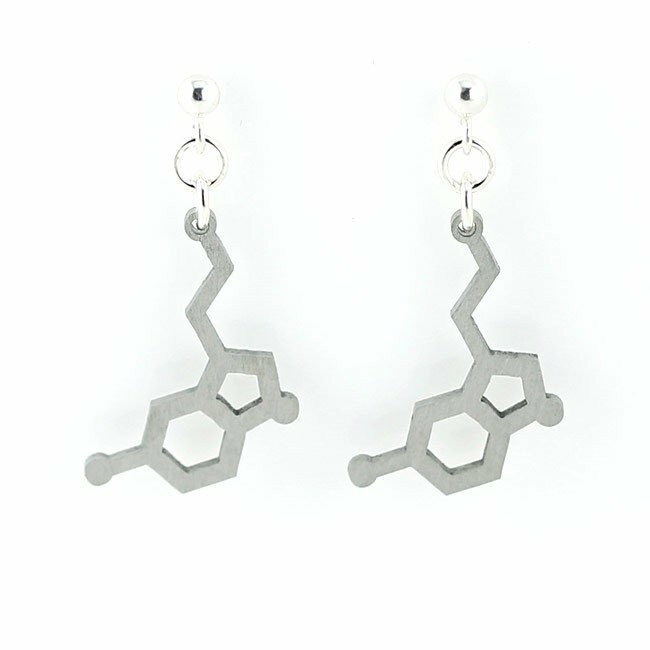 Serotonin Earrings under a microscope! High quality, stainless steel studs. Based on the shape of the actual serotonin molecule!